Researchers from the Pew Research Center have found that gamifying learning stimulates interest and deep engagement with content. 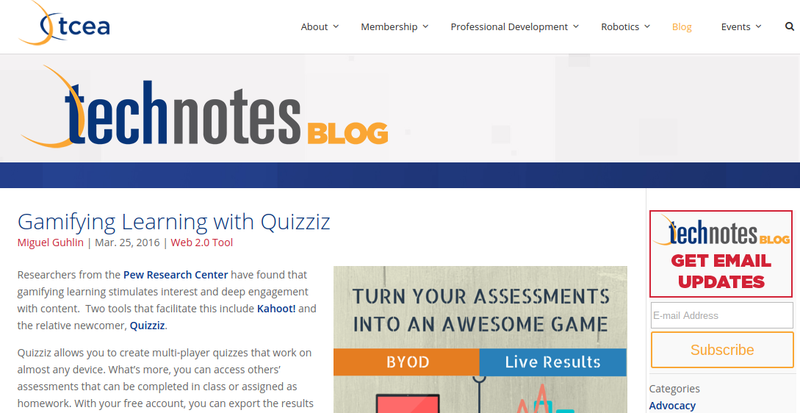 Two tools that facilitate this include Kahoot! and the relative newcomer, Quizziz. Read the rest over at TCEA TechNotes. Interested in reading more of what I’ve written for publication at TCEA’s TechNotes? Click this link! Games…those frivolous time-wasters that distract from REAL learning. When I reflect on my years in the classroom, “playing games” was something I never valued. I didn’t value it because, in my experiences at home, game-playing has always been perceived as a waste of time. It’s something you did when you didn’t have anything important to do, or wanted to connect with your family. Some early reflection probably would have revealed the startling opposition of those two ideas–surely, one was wrong. Was game-playing frivolous or a way to connect with your family? Since I grew up playing games of strategy with my parents, it was clear they valued gaming quite a bit as a way to develop my mind, and to bond. Later, I began playing games on my own, admittedly, first-person shooters, games of exploration…games that required me to do little thinking. However, my young son grew up watching me play, and his experience with games was markedly different. He began seeing games as puzzles to solve, a maze to master, a way to develop an answer to the game-designers questions. 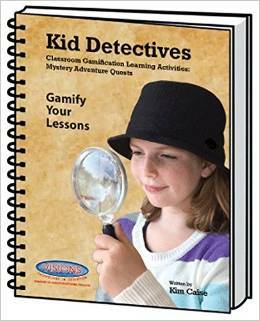 Gamification activities are social and require students to work together and think analytically and critically. Students must have opportunities to take data, information and analyze, synthesize and evaluate in a gamified environment. My favorite game to see him play included Command and Conquer, a game that he clearly strategized in anticipation of. For him, gaming wasn’t a waste of time, but a mind-strengthener, a way of thinking in ways he hadn’t before. In fact, his interaction with strategy games reminded me of the way some played chess (a game I never liked because I didn’t want to think strategy, or anticipate an opponent’s moves in advance). Get your guide to gamification online! In Kim Caise’s book, she explores gamification. She describes it as “a strategy to make life’s hard things fun.” If classrooms are hard work and not fun, as David Warlick suggests in his quote at the top of this blog entry, then Kim’s suggestion makes gamification a way to transform how we approach learning.